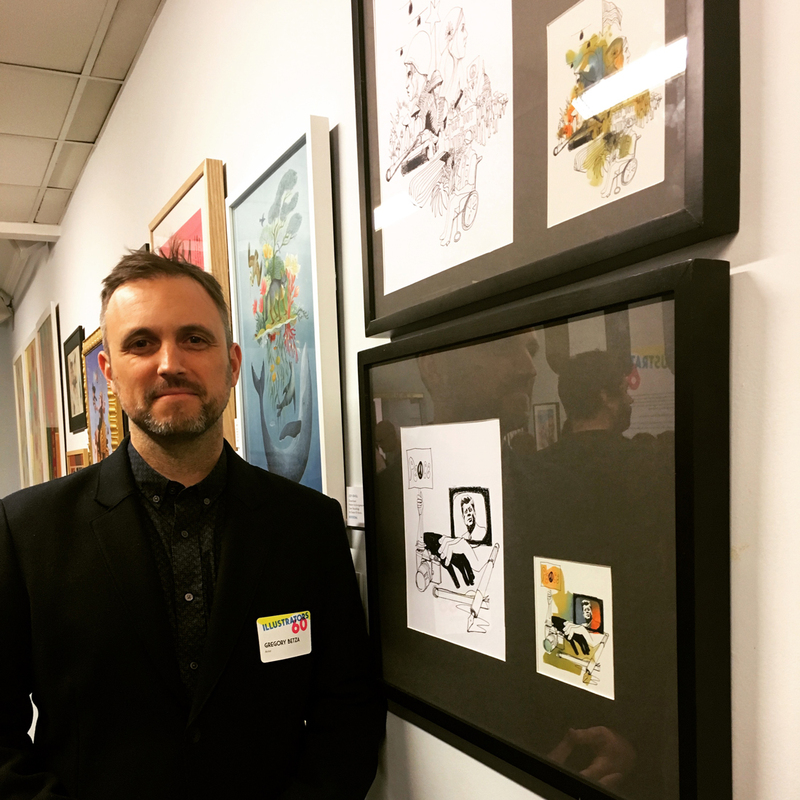 Last Friday was a special night for me, the opening reception for the artists selected to be a part of the Society of Illustrator’s 60th Annual. I’ve been collecting the annuals since my school days at Parsons and have always wanted to one day be included with this amazing group of illustrator/artists. To say that I am honored would not quite put my feeling into words. Here I am next to my 2 pieces taken from my winning series on The Vietnam War. It was great talking with him and getting some background on the art. Definitely stop by to see the show. 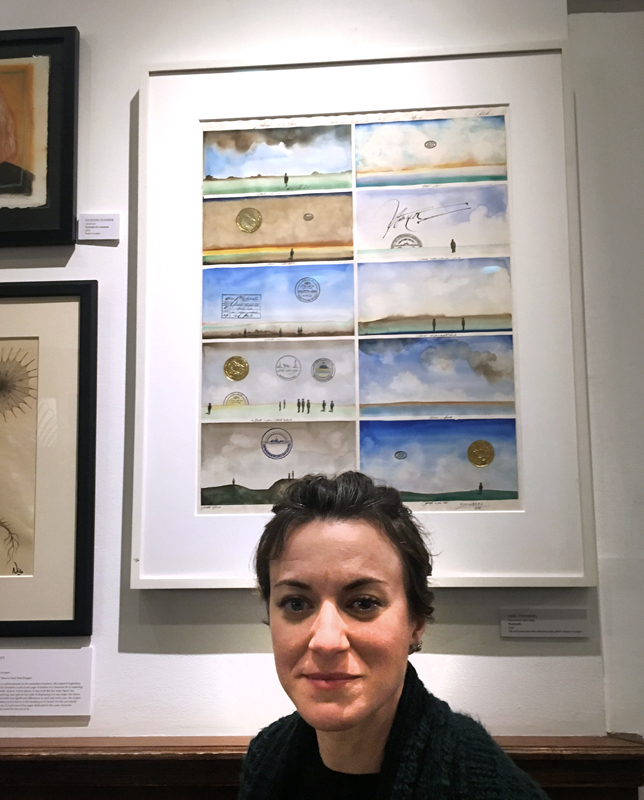 Here is a photo of my wife, illustrator Despina Georgiadis, enjoying a spot next to this stunning Saul Steinberg. Wonderful night, thank you judges and the Society.